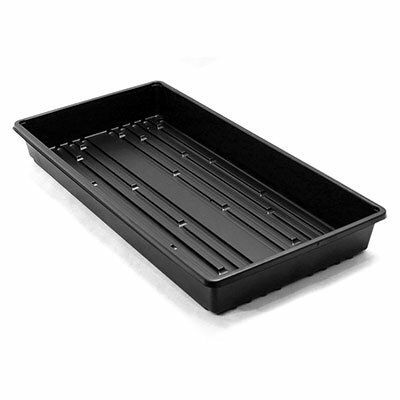 This traditional sized thermoformed tray is reliable and sturdy. Design allows community watering of pots, consistent bottom & side positioned drainage holes (or no holes) and easy, two-finger denesting. Perfect for fodder or wheatgrass applications as well. If you have any questions about this product by TO Plastics, contact us by completing and submitting the form below. If you are looking for a specif part number, please include it with your message.